This report by the UK Green Building Council gives an insights into key Government priorities for the built environment and how the construction industry can address the challenges these priorities raise. Under Theresa May’s leadership, the current Conservative Government has set out its vision of a country, an economy and a society that works for everyone. Achieving this vision requires the Government to address some of the fundamental challenges facing British people today. 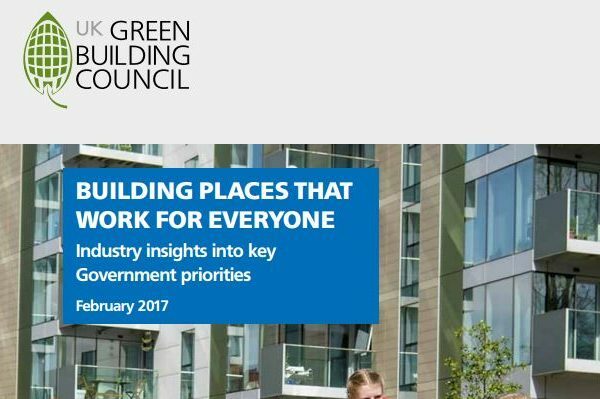 The UK Green Building Council (UK-GBC) and its multitude of diverse and progressive member businesses believe that the built environment is fundamental to addressing these challenges, indicating that building places that work for everyone can and will support the Government’s policy priorities. Co-Living: What will 'home' look like in the year 2030?